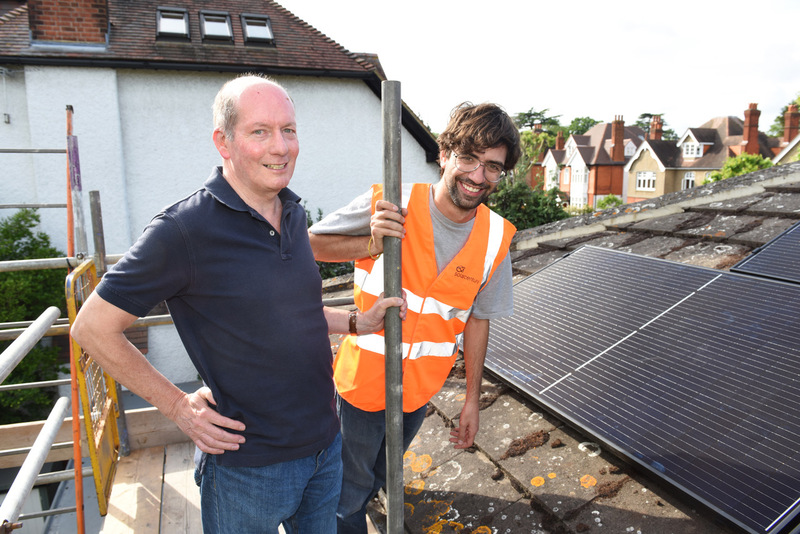 Have a look at some of the testimonials from people whose installation has been completed by Solarcentury, the winning supplier of the previous Solar Together London group buying scheme. "We’ve been interested in getting solar panels for a while, but thought we’d missed the boat. We saw Solar Together London and found the information on the website very helpful. Registration was really straightforward and then all we had to do was wait for our offer. After we received our offer we attended a local information evening. Everyone has been very professional, informative and full of useful practical advice for us. Our roof survey went smoothly, and the installers have been very accommodating to our wishes. The scaffolding went up very quickly, with the panels being installed the next day. All of the workforce have taken real care of our property and we are very pleased with the result. In fact we were surprised at how much we were starting to save, the moment the system went live."